DO YOU WANT TO ACCELERATE YOUR SPEED TO CLEAR? The absolute best way to immerse yourself in the Dianetics process is to attend a weekend Dianetics Seminar. This two-day seminar is the quickest, most effective way to master and apply the techniques of Dianetics toward the ultimate goal—the state of Clear. In only one weekend you can learn how to use the precise Dianetics procedure of auditing with the expert guidance from trained Dianetics specialists. You can begin to locate the negative past experiences hidden in your reactive mind and eliminate them, forever. Best of all, you can experience the many miracles of Dianetics for yourself. Attend the Dianetics Seminar and put the phenomenal power of Dianetics to work for you… immediately. 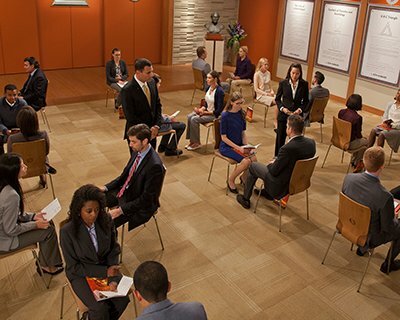 Locate Dianetics Seminar nearest you and enroll today. Your adventure starts with the Hubbard Dianetics Seminar where you receive expert guidance from trained Dianetics specialists. You work with other people like yourself—people ready to tackle those things holding them back in life which are locked in the reactive mind and achieve the state called Clear. With personalized instruction and the How to Use Dianetics films, detailing the techniques of Dianetics concept by concept, you easily and simply learn and see everything you need to know—fast—so you can start that adventure half an inch back of your forehead. A Dianetics Seminar is a two-day weekend seminar starting Saturday morning and completing early evening on Sunday. Achieve the success and happiness you really want. Attend the Dianetics Seminar nearest you and experience that adventure to know why you did what you did when you did it. After a short question-and-answer period from your seminar leader, and reviewing your 10-step How to Use Dianetics Procedure Guide, you will know how to begin applying Dianetics. You’ll continue Dianetics through the day, before and after lunch, with breaks in between. Any questions you may have through the day will be quickly addressed by our Dianetics specialists so you get the most out of your time. Before dinner, and once you and your partner have worked both ways, applying Dianetics and receiving it, you will wrap up and meet with a trained consultant to go over your progress and what your next step is, and get any final questions answered. During the weekend at home and following the seminar, study Dianetics: The Modern Science of Mental Health using the Dianetics Extension Course. You are also welcome to come in any time and study in our course room under a Dianetics supervisor.